As 2015 winds down, the time has come for all of us to look back and reflect on what the past year has brought. For me, 2015 was huge when it came to TV. In fact, there was so much great TV that narrowing all of the shows down to a top ten was no easy feat. Luckily, I watch such a mishmash of series that I had just about every genre covered over the past 12 months. I laughed, I cried, and I badgered friends into watching my shows so that we could talk about them each week. It was quite a year. So, in the spirit of looking back, here are my Top 10 TV picks for 2015. They range from respectably thought-provoking to unexpectedly hilarious to so over-the-top ridiculous that I was addicted straight away. For a look at some other CinemaBlend favorites of this past year, check out Jessica’s and Nick’s top TV picks for 2015. Captain America: The First Avenger is one of my least favorites of the Marvel movies, but Agent Carter bringing Peggy to ABC for her own series was definitely one of my top TV events of 2015. 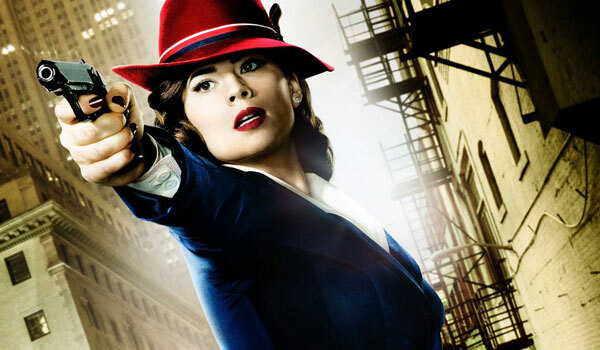 Haley Atwell was fantastic as Agent Carter, and the tightly-scripted first season proved that comic adaptations with women as headliners can work just fine on network television. The show was never just about Peggy’s struggles to find her place in a male-dominated workforce or just about her efforts to exonerate her friend or just about action, and the balance worked wonderfully. There’s also always something satisfying about seeing women in stunt sequences dressed sensibly, so Peggy swapping her skirts and heels for pants and a ponytail for field work was a delight. There was so much to love about Wet Hot American Summer: First Day of Camp that it’s impossible to pick just what was best about the series that served as prequel to the Wet Hot American Summer movie from 2001. The entire cast of big name stars returning to play teenagers 20 years their junior on a Netflix series was a treat on its own. The fact that it was never once acknowledged that all of the teens aside from Andy – played by an apparently ageless Paul Rudd – looked way too old to be counselors or that Coop was approximately an entire human heavier than he was in his first appearance just made the entire affair much funnier. 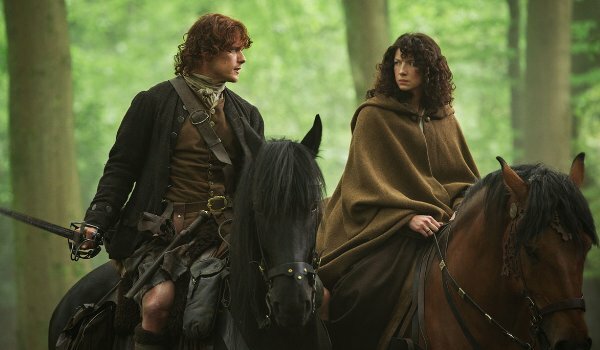 It takes a deft hand to make a romance spanning years and continents (and based upon hundreds of pages of source material) fit believably into 16 episodes of television, and the team behind Outlander on Starz pulled it off. Against all odds, the relationship between Claire and Jamie was compelling enough to convince us that a 20th century woman would forgo access to modern medicine and electricity for the sake of love. I can’t say that Outlander wasn’t incredibly tough to watch toward the end of the first season, but the gorgeous Scottish landscapes coupled with the fantastic performances from the lead actors made it worth the emotional turmoil. BoJack Horseman is probably the most bizarre show on this Top 10 list. The animated Netflix series about 90s sitcom star BoJack Horseman (now a has-been) and his hijinks was back for a second season in 2015, and it was even funnier than the first. The domestic difficulties of golden retriever Mr. Peanutbutter and his human wife Diane were somehow the most normal plots of the entire season. 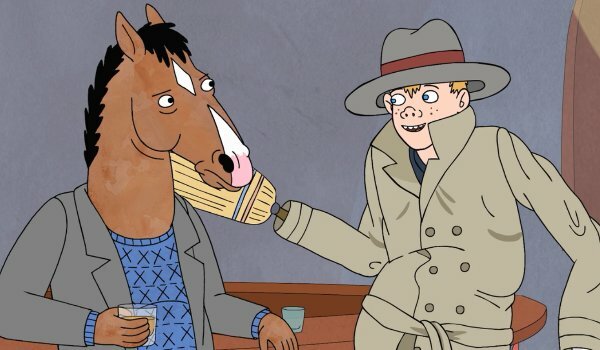 The best running gags of the first season were back as with Princess Caroline’s boyfriend Vincent Adultman – also known as three kids obviously stacked on top of one another under a trench coat – in a bigger role, and flashbacks to young BoJack in his sailor suit having his hopes and dreams crushed by his mother are never not hilarious. iZombie on The CW turned out to be a surprisingly awesome little show. Although zombies play a huge role, iZombie definitely leans more toward Veronica Mars than The Walking Dead. 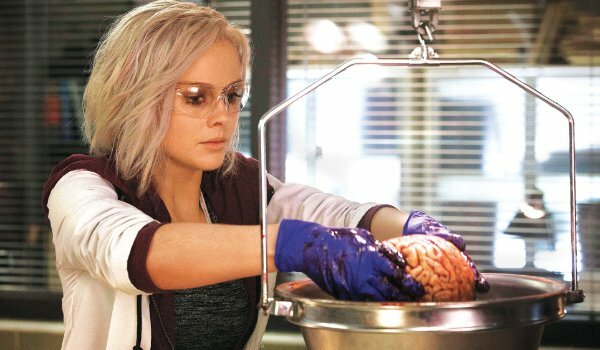 The premise is actually rather clever, as Liv Moore discovers that eating brains of morgue cadavers has given her the ability to see into the lives of victims and help solve their murders. The show works as a procedural with a zombie twist, and the overarching plot of an evil corporation plotting to render the undead permanently dead keeps things exciting. Empire was a breakout hit of network television in 2015, giving a huge ratings boost to Fox and managing to turn the melodramatic into something masterful. Members of the Lyon family scheming for and around each other in the attempt to gain the reins to the dynasty was as twisted as it was cathartic. Honestly, it’s hard to know who to root for, considering how often Empire changes its own dynamics. 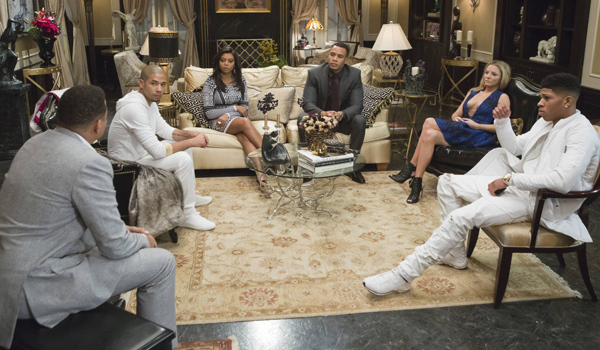 Cookie Lyon is a gem as an inexhaustible source for one-liners, and the music is actually pretty great. I still wake up sometimes with “Drip Drop” stuck in my head. I have to include Arrow on this list, because when it’s good, it’s super good. Season 4 has been pretty stellar with an overall balance of plot and character that has minimized the melodrama that somewhat crippled the writing in Season 3. Thea's induction into Team Arrow as Speedy has been the most organic since Sara’s as Black Canary 1.0 back in Season 2. Plus, the new and improved Arrow cave has been a largely brood-free zone and the Oliver/Felicity romance has been handled with a soft enough touch that it manages to be totally swoon-worthy without overwhelming the plot. Season 4 hasn’t been perfect, but it has made Arrow fun to watch again after the depressing Season 3. 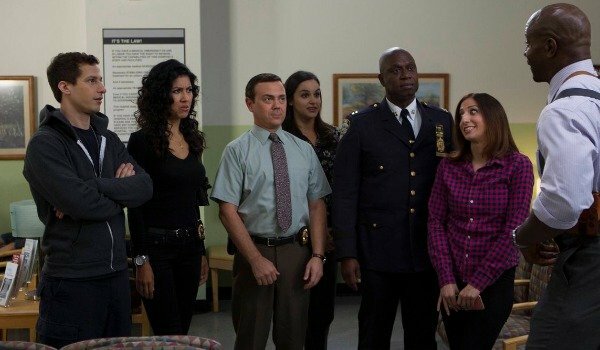 Brooklyn Nine-Nine has only gotten better with time, and Season 3 has been its best so far. Andy Samberg as Jake Peralta has been the face of the show since the beginning, but side characters getting their share of the spotlight has elevated Brooklyn Nine-Nine above other comedies in its class. The entire cast is spot on, with Andre Braugher as Captain Holt particularly hysterical week in and week out with his deadpan deliveries of absolutely ludicrous lines that could not possibly work coming from any other actor. There’s an awful lot of heart behind the hijinks at the precinct on Brooklyn Nine-Nine, and episodes playing mix-and-match with character dynamics has helped keep it fresh. The fifth season of Game of Thrones was not the series’ best, but a slow season on Game of Thrones will always still be better than plenty of other programming. With characters split off all over Westeros and Essos by this point, major steps needed to be taken to make everything actually feel relevant again. Luckily, the final episodes of the season saw some major progress for both Daenerys with her dragons in Meereen and Jon Snow with the threat of the White Walkers at the Wall. 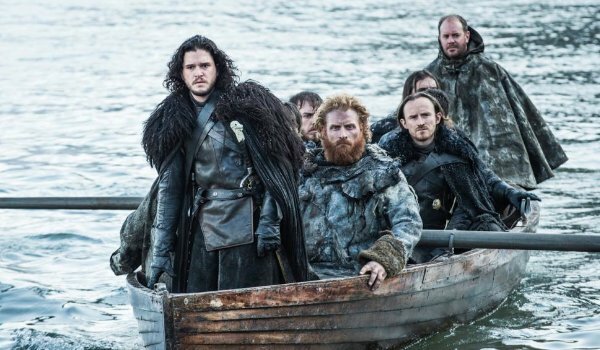 Honestly, the battle sequence of the White Walkers and wights vs. the wildlings and men of the Night’s Watch could have been enough to redeem a far worse season than the fifth, and the cliffhangers have made the wait for the sixth season positively painful. For viewers who like a dose of dark and gritty every now and then, Jessica Jones on Netflix should be pretty much a perfect series. Krysten Ritter was phenomenal as a super-powered woman struggling with PTSD even as she fought with abilities only she possessed to defeat the man who had wrecked her. For his part, David Tennant as mind control master Kilgrave was perhaps the most chilling villain of any Marvel adaptation to screen. Impeccable casting made side characters unforgettable without distracting from the main players. 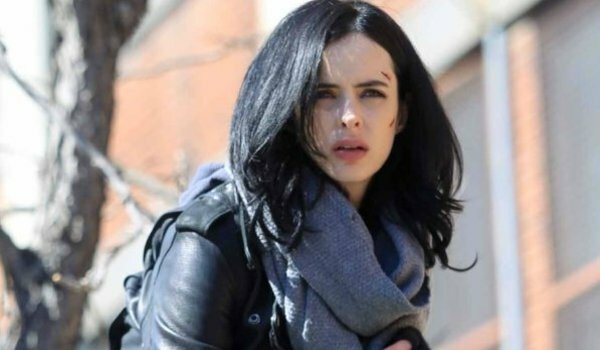 Jessica Jones was awesome, terrifying, and totally binge-able on Netflix. I only wish that I could forget that I ever watched it just so I could see it again for the first time.